A breakthrough in customer engagement. 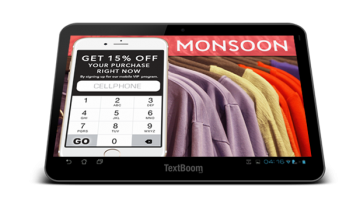 Textboom’s tablet program encourages more signups and produces twice the results. 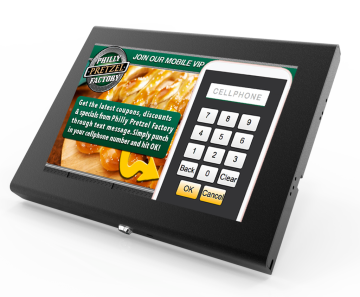 We give your company a mobile tablet with a stand and custom design an app that your customers will use to opt in to your marketing campaigns. This unique approach yields astounding results, when compared to simply relying on your customers to opt-in via text message. Having a customer portal on your counter makes it super simple for customers to subscribe and build your customer lists easily. 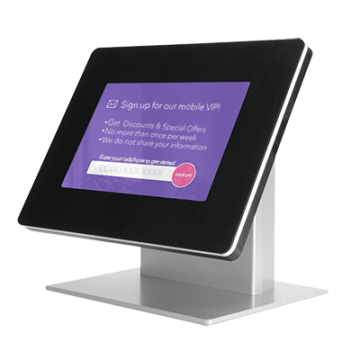 Your Textboom tablet will draw attention and curiousity, leading to more interaction with your customers. The math is simple: More customer signups, more customer interaction and rock solid promotions equals increased revenue. Let us show you how, with guaranteed results. Textboom has provided proven mobile marketing techniques for 10 years. And once again, we are pioneers. 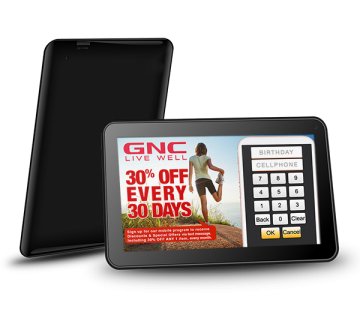 Our tablet system is a breakthrough that produces unparalleled results. 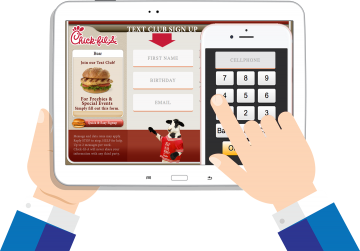 Our program includes everything you need to start signing customers up immediately after receiving your tablet. 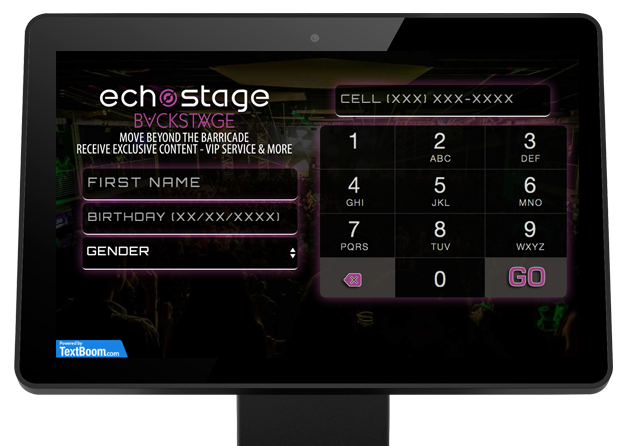 We design your tablet app to match your identity, down to your color scheme, logo and any custom data fields you wish. Textboom has been trusted for 10 years by thousands of businesses to provided reliable marketing solutions and we continue to do so. We are 100% confident our program works, so we offer a 100% guarantee that it works for you. Call for more details. "Love this tablet program. You guys are genius." "Fantastic! I've never seen results like this in my 26 years in the restaurant industry." "Amazing! Where do you guys come up with this stuff?" Pretty Sweet Right? Get Started Today for as little as $65 per month.